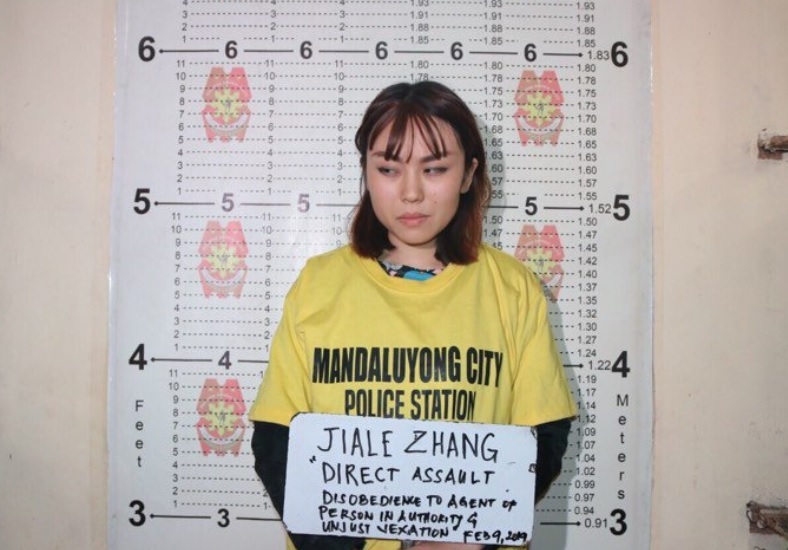 Dubbed the Taho Girl, Chinese national Jiale “Carla” Zhang, 23, was arrested on February 9, 2019 after throwing a cup of Filipino soy bean custard called taho at a police officer inside the Boni MRT station in Mandaluyong City, Metro Manila, Philippines. She was charged with direct assault, disobedience to agent or person in authority and unjust vexation. The police officer is PO1 William Cristobal of the Philippine National Police Regional Mobile Force Battalion’s 4th Mobile Company. When MRT security officers had a hard time preventing Zhang from entering the Boni MRT station’s platform area due to her unconsumed taho drink, he had to intervene. Instead of cooperating, Zhang decided to argue and threw her taho drink at Cristobal. Department of Transportation assistant secretary for communications Goddes Hope Libiran told the Philippine Inquirer that they are considering to ban her from all MRT-3 stations. Unconsumed drinks have long been barred at MRT stations. After the twin blasts in Jolo, Sulu on January 27, 2019, train stations in Metro Manila added security measures, which include banning all liquids. Zhang has apologized for what she did. Metro Manila Police Chief Guillermo Eleazar told CNN Philippines that they will file a deportation case with the Bureau of Immigration next week. Zhang is originally from Weifangshih, Shandong, China. She is currently a fashion student of SoFA Design Institute in Makati City, Metro Manila.